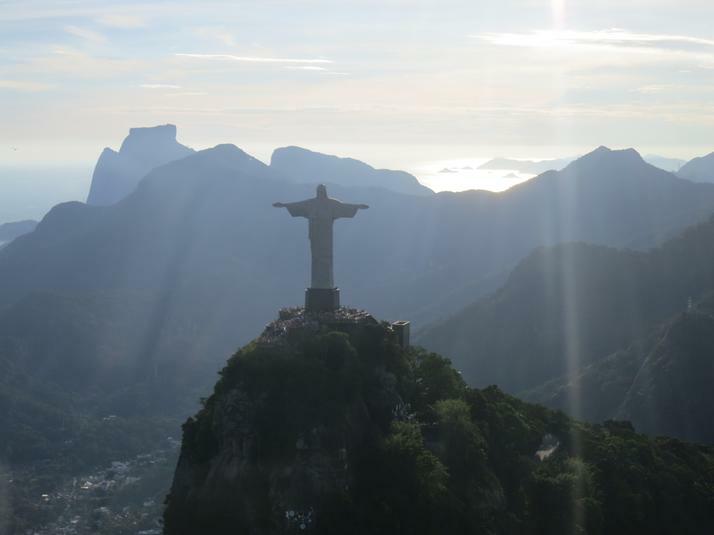 The best way to see Rio de Janeiro is from above as the city’s setting is amazing with 300m high peaks, beaches all along the coast and surrounded by rainforest. 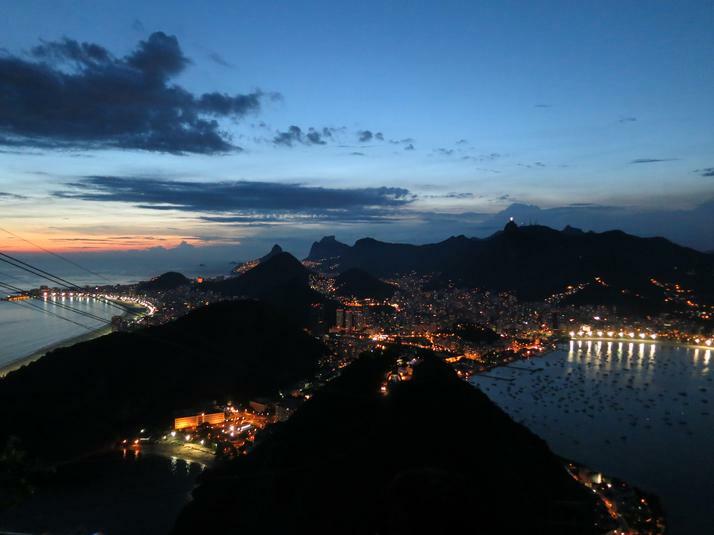 There is two ways to get a breathtaking view of the city without leaving the ground from the top of the Sugar Loaf (Pao de Açucar) and from the top of the Corcovado (where the Christ Redeemer is) and few options involving flying. The top of the Sugar Loaf is reachable using two consecutive cable cars. 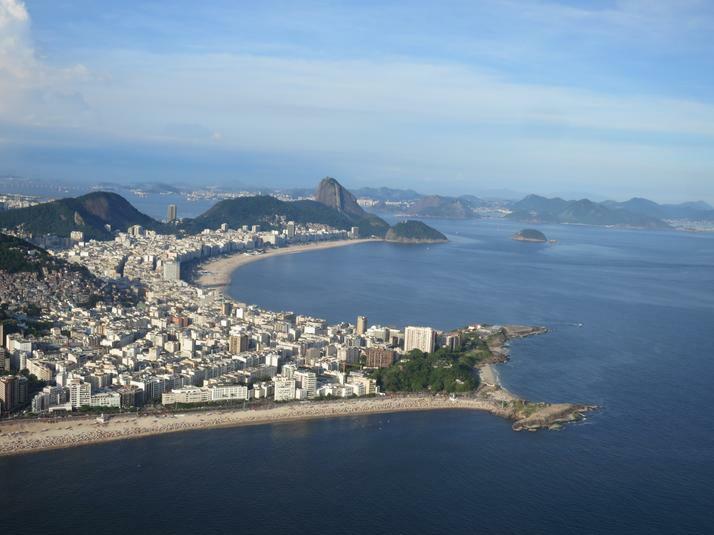 It offers a view of the whole city with the Corcovado at the center. It’s a perfect spot to watch the sunset. The first cable car stop is right next to an helipad where helicopter tours departs. After a quick money talk between my brother and I, we decided to do the tour number 3 ($R 520) which goes along Copacabana and Ipanema and around the Corcovado. It was truly worth the money and an awesome experience. At the opposite end of the city, the top of the Corcovado is reachable by taxi (expensive), by minibus or by tram. The last two are almost the same price (R$ 50) but you’ll need to buy tickets in advance for the tram (they usually sell tickets for 3h later). The historic tram reaches the top climbing very steeply through the jungle. The view from the Christ Redeemer’s balcony is incredible and worth the trip. 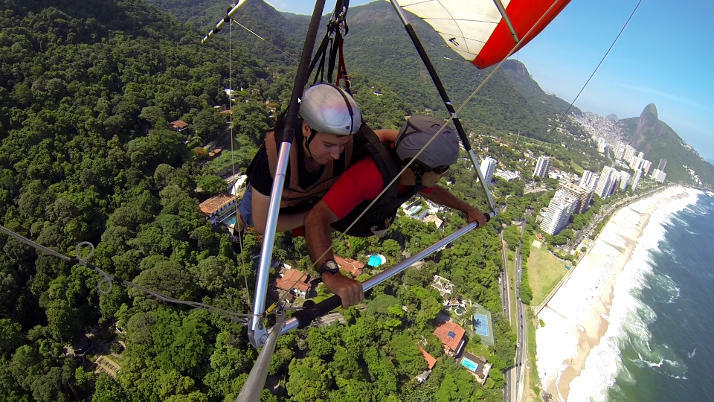 Finally, we took off the ground one last time to hang glide from the top of Pedra Bonita, landing on the beach 500m below ($R 320). The take off is spectacular and the flight offers some beautiful views. It’s rare that a city offers as much opportunities to witness it from the sky. Cease as much of them as you can and let Rio unfold under your feet!